What are your Touch Points? “A touch point can be defined as any way a consumer can interact with a business, whether it be person-to-person, through a website, an app or any form of communication. When consumers come in contact with these touchpoints it gives them the opportunity to compare their prior perceptions of the business and form an opinion.”- Wikipedia. A touch point is any interaction a customer or client has with your business and therefore every touch point must reflect, reinforce, and reiterate your core brand strategy. Taking control of your touch points is the key to building a strong business brand, business culture and personal brand. If your goal is to improve your business and customer satisfaction then I suggest looking at your touch points. When looking at your touch points and the quality of them you should keep in mind the customer (or your client avatar), and how they view or react to the interaction. Successful business is not just about delivering a superior product or service, but also about the touch points you use to engage your audiences, such as websites, advertising, office space, communication, social media, customer service… and many more. The good thing about touch points is generally you can control them. You can pin point touch points and make sure they are inline with your brand and culture. Feedback from clients is a great way to see what is working well, and what could use a makeover. Below are some touch points categorised into 3 areas, I have brainstormed as many touch points that I can think of, if you notice something I have missed please leave a comment so I can add it to the list. As mentioned above most of these touch points are in the control of business owners or personnel. You can decide on the best logo, website design, letterheads etc. You can choose what posts go on social media, what blog articles to write and how to interact with people. While you can not control people you can train staff and employ people who you feel can live up to the expectations of your company brand. You do not have control over word of mouth, that is what people say about your products or services, but it should fall into place if everything else is set up well. Obviously human and technical errors do happen but as a touchpoint you can choose how to deal with these situations, how you go about fixing them and how you treat the client/customer involved in the error. 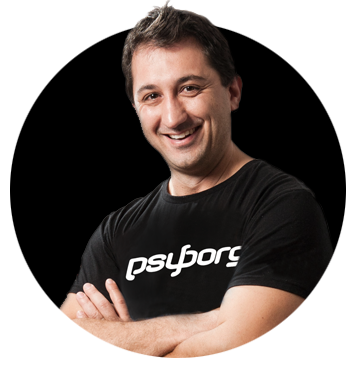 At psyborg® we run brand workshops to help businesses create, update and maintain strong brands. Get in touch if this is something you would like to be involved in. Strong brand touch points are essential for a strong brand. If you can have well thought out and positive touch points behind the scenes in your business then it will help to build a strong business culture and in turn a strong business brand as this will naturally seep into external communications. Furthermore the interior design of your business can help foster creativity! Read more about that here. The impression you give people about yourself can make or break a business or the opportunities that may come your way. I have known people who have missed out on an interview due to a potential employer looking at their facebook profile. Personal brand matters and you can most certainly control most of these touch points. If you are having trouble determining what to include in your social media posts, this article may help. Touch points are the aspects of a business that attract customers. People form opinions based on what they see, hear and feel. You want customers or clients to walk into an office space and feel comfortable, to read an email response and feel valued, to see a profile portrait and not be scared off, to be greeted on the phone by someone who wants to talk to them and not be left feeling like a nuisance. What we put out there as a professional should bring in clients and consumers, not deter them from using our business. This should be kept in mind while creating any of the touch points listed above which will in turn help you build a stronger brand. Does your business need a Touch Point audit? As designers we love to design each and every touch point to be consistent with your brand and vision. review your brand, culture and personal brand. Tell us a little about your touch points in the comment field below and we’ll send you my free touch point audit spreadsheet so you get get control over your brand! Thanks Mike – I’ll email you my Touch Points Audit Spreadsheet now.